The 14th Amendment, was passed by the United States Congress in 1866. 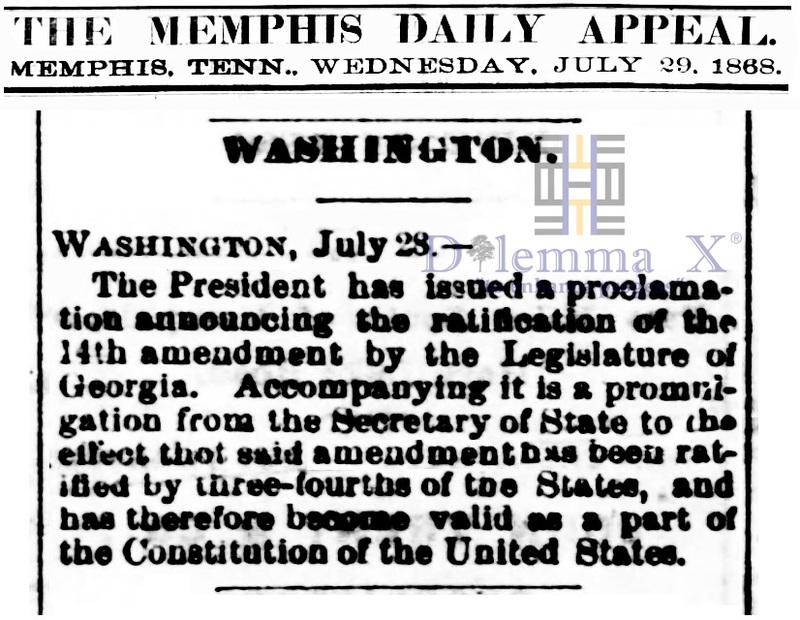 Following its ratification by the necessary three-quarters of U.S. states, the 14th Amendment, guaranteeing to African Americans citizenship and all its privileges, was officially adopted into the U.S. Constitution on July 28, 1868. The 1868 presidential election of was held on November 3, 1868. 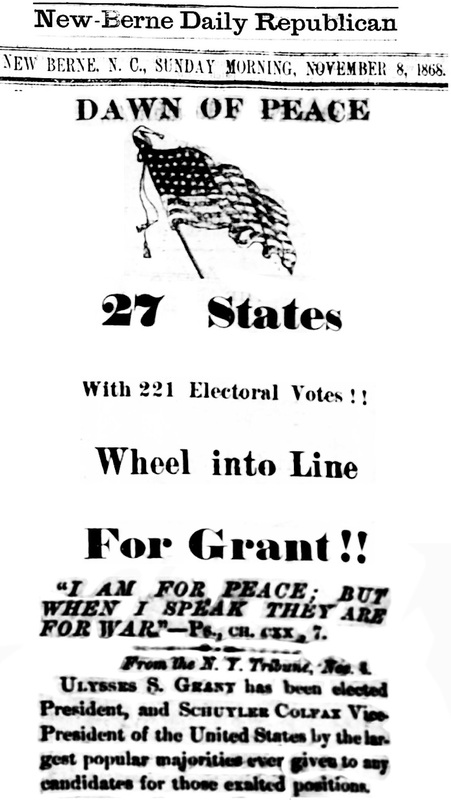 It was the first presidential election to take place after the American Civil War, during Reconstruction. The unpopular President Andrew Johnson failed to receive the Democratic nomination. Johnson succeeded to the presidency, in 1865, after the assassination of President Abraham Lincoln. Ulysses S. Grant (Republican) would defeat Horatio Seymour (Democratic). In the decades after the adoption of 14th Amendment, the equal protection clause was was being challenged and African Americans were continuing to be treated as second class citizens. In 1896, the U.S. Supreme Court ruled in Plessy v. Ferguson that states could constitutionally provide segregated facilities for African American. A system of American Apartheid/Jim Crow became the laws of the nations. In 1954, Plessy v. Ferguson was finally struck down by the Supreme Court in its ruling in Brown v. Board of Education of Topeka. The American Apartheid system remained in place until the passing of the following laws: Civil Rights Act of 1964, the Voting Rights Act of 1965 and the the Civil Rights Act of 1968. 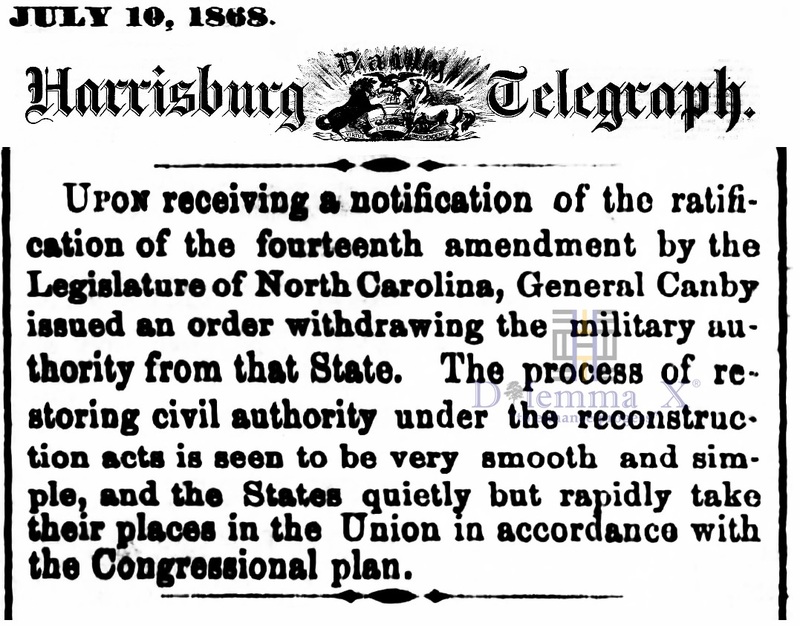 The follow historical newspaper articles give a brief view of the passing of the 14th Amendment and the conditions around the presidential election.